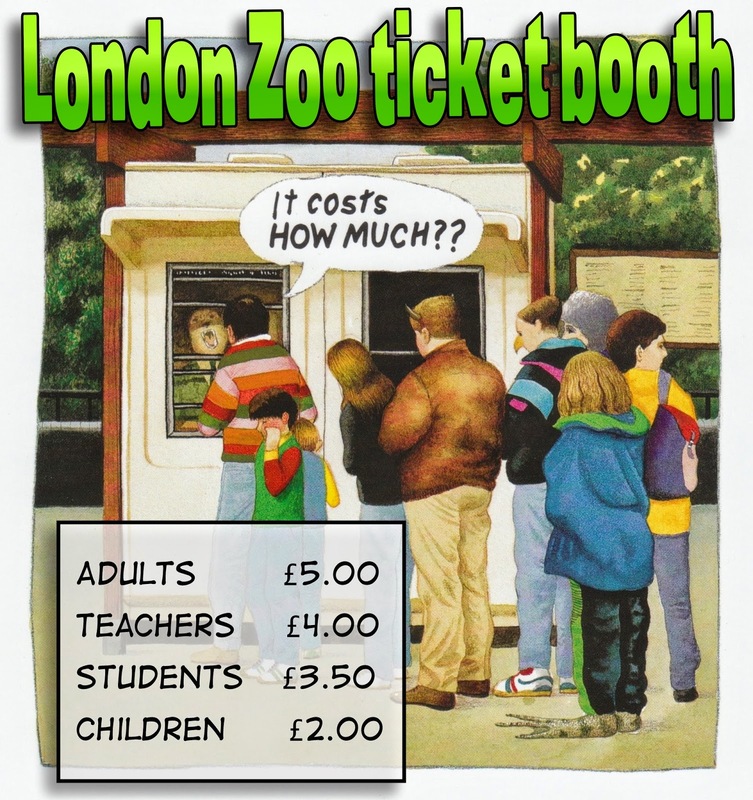 You have £38 to spend on tickets at London Zoo. 1. How many adults and children can you buy tickets for? 2. How many teachers and students can you buy tickets for? Remember, there is more than one right answer to each question. Think of all the different combinations you could have for each question. I have five pounds and spend it on zoo tickets look at the ways I can do it. We think that the teachers and students has to cost £7.00 because four and three makes seven like the adults and children because they had seven as well. We think that the teachers and students have to cost £7.00 because four and three makes seven even like the adults and children. If you have 38£ you can share it between two peole like me and my friend can have two of them. I have £38 and spend it on zoo tickets. £5+£5+£2+£2+£2+£2+£2+£2+£2+£2+£2+£5+£5.this is for adults and children.